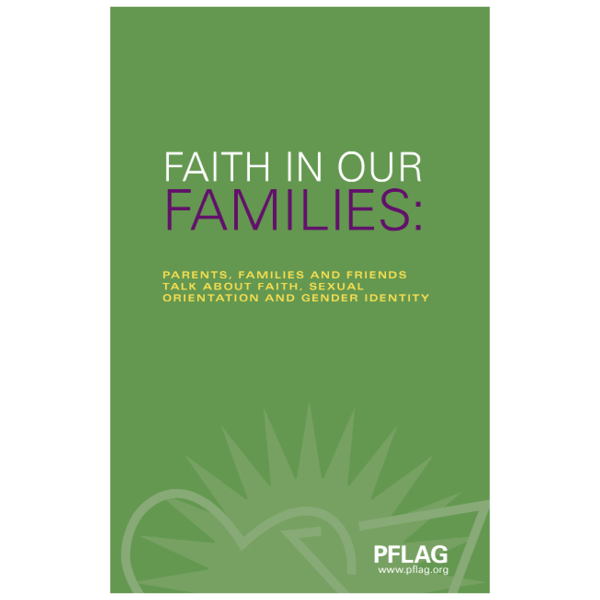 Parents, families and friends talk about faith, sexual orientation and gender identity. Discovering that a loved one is gay, lesbian, bisexual, transgender, or queer (LGBTQ) can pose new questions about your faith and may prompt you to re-evaluate beliefs that you previously took for granted. By using personal experiences, this publication provides examples for reconciling your faith with the knowledge that a loved one is LGBTQ, and your desire to love and support them.